In fact, according to a Pew Research, 18 to 29-year-olds are the more likely to have read a book in the past year than any other generation. At Wattpad, they believe that good old-fashioned written stories are one way that brands can set themselves apart. users are spending 30 minutes every day reading content on their desktops and smartphones and engaging with brands. 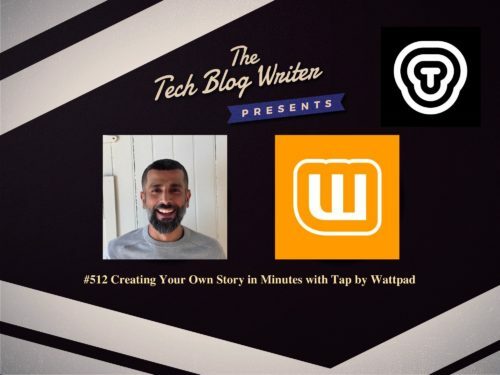 With new social platforms and technologies focused on compelling entertainment, Wattpad has turned a community of writers and storytellers into invaluable assets. Read addictive chat stories with Tap by Wattpad. Dive into thrilling, and exciting stories that reveal themselves one line at a time, as if you’re reading someone else’s texts. In 2017, the company launched Tap, an immersive storytelling experience that delivers short, conversational-style narratives. Tap offers interactive entertainment experiences that digital natives love, using a chat-style format, combined with multimedia innovations designed specifically for Tap Originals. Since launch, users all over the world have devoured Tap stories, with more than 3 billion taps to date on over 300,000 stories available. On today’s podcast, we look at the role of technology and the value of storytelling in marketing. We look into the specific ways brands are crafting stories to engage audiences (on Wattpad and beyond) and the best practices for brands to infuse better storytelling into their marketing.